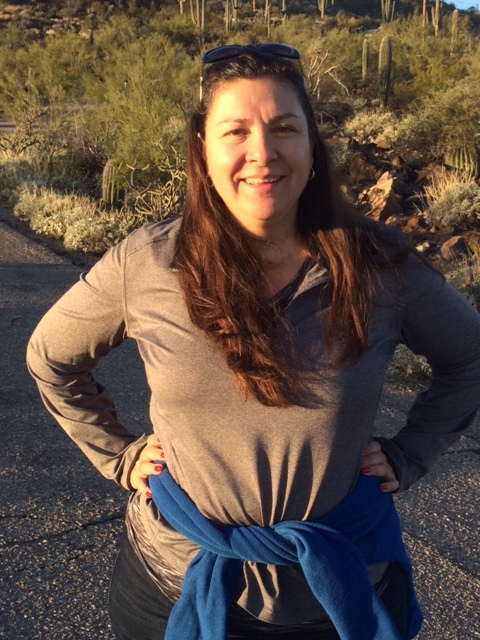 Profile Response: Lucia Esparza, Tucson AZ | How Will We Live Tomorrow? After spending time with Lucia and witnessing her commitment to her children, I doubt she will wind up in Sonora. Rather, she seems more likely to follow her children where life leads them. When her oldest son Marcos took a bicycle trip from Portland, OR to LA before college, Lucia was worried about his route, his safety… everything. She told him, “If you don’t have a plan, I’ll follow you the entire way.” Needless to say, that motivated Marcos to develop a suitable plan. The generous hospitality that Marcos received on his trip induced Lucia to host long distance cyclists. Lucia’s educational path was not straight, but it is comprehensive. Amidst getting married and having three children, she earned a pair of college degrees which led to working in a cell immunology lab, becoming a research nurse, being a floor nursing in a burn unit, and administering Tucson’s poison control program. Then she went back to school again. Now, Lucia is a Nurse Practitioner with a specialty in geriatric care. Lucia’s focus on education translated to her children, who all attended BASIS Tucson, the first BASIS Charter School in Arizona. Marcos graduated from MIT last June; he works with a start-up developing solar powered wells for developing countries. Daughter Sofia is at Northeastern Arizona University, and sixth grader Nico is juggles academics, soccer, and boy scouts in addition to being lead singer in a fledgling boy band. He does a righteous rendition of Coldplay’s ‘Paradise’. Lucia recently remodeled her house. She ripped out the carpets, stained and polished the concrete floors, painted the walls in saturated blues, mango, and rust. Many of the vibrant walls are covered with photos of children, family, and friends. “I don’t really need all this space, but I have a lot of guests.” That’s an understatement. During the short time I spent with Lucia, seven people stopped by to visit, share food, tell stories, and laugh. Lucia’s children may be leaving, but her house is very full. 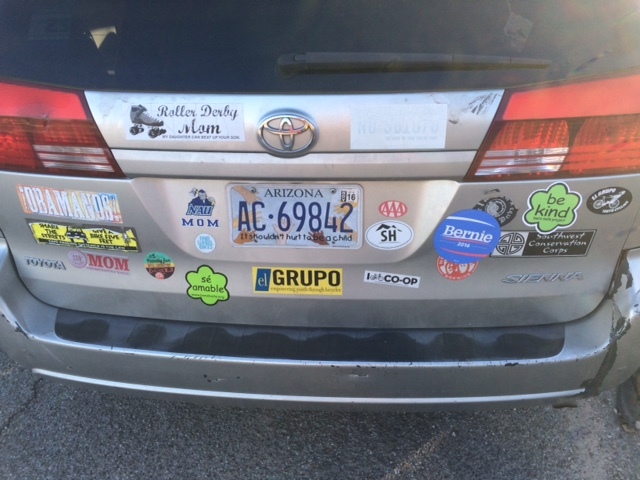 This entry was posted in Responses and tagged BASIS, Lucia Esperza, Mexico, Sonora, Tucson AZ. Bookmark the permalink. Good story about a great woman. I hope Lucia is correct in her response to your question. She certainly seems to be living a good life very well. I really love her and her response!